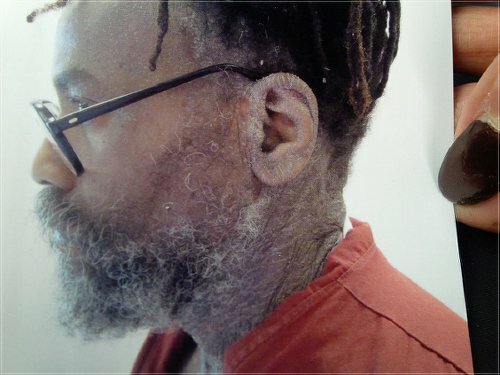 Political prisoner Mumia Abu-Jamal is one of an estimated 10,000 prisoners in Pennsylvania suffering the ravages of untreated hepatitis C virus (HCV). Prisoners across the U.S. are being denied access to the direct-acting, antiviral oral treatment developed in 2014 that has proven to be highly successful in curing HCV. Mumia Abu-Jamal on April 24, 2015. Earlier in September, lawyers for Abu-Jamal filed an injunction on his behalf seeking immediate relief through the administration of the antiviral drug. The Pennsylvania Department of Corrections has used the excuse that a dose of this medication costs upwards of $1,000. Yet even if given to all Pennsylvania prisoners estimated to suffer from the virus, the total cost would be less than 1 percent of the PA DOC’s annual budget. Usually one or two doses will cure the disease. Recently pharmaceutical corporations, faced with impending generic versions of the drug, dropped the cost to around $400 to $500 per treatment. While still expensive, it would cost less to provide this lifesaving medication than to treat the diabetes, heart disease, arthritis or liver disease that commonly result from long-term, untreated hep C — conditions that won’t go away without proper treatment of the underlying disease. In June 2015, the U.S. Bureau of Prisons amended its guidelines regarding HCV infection to include use of the new medications and to prioritize treatment for HCV cases as having the most urgent need. Abu-Jamal’s symptoms first manifested over a year ago when he began suffering from severe skin rashes, lesions and swelling in his legs. His condition worsened early in 2015 when prison doctors failed to properly diagnose his illness. They also prescribed steroids and topical medications that only exacerbated the HCV. In March 2015 Abu-Jamal, close to death, was rushed to a hospital after prison infirmary physicians allowed him to nearly fall into diabetic shock. 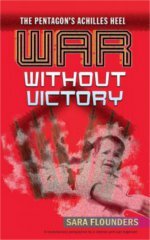 Since then, family members and supporters worldwide have been demanding that the PA DOC cease in their efforts to murder Mumia through purposeful medical neglect. After his lawsuit was filed the end of August, prison officials retaliated against Abu-Jamal during the first week of September by entering his prison cell while he was in the infirmary and boxing up all his belongings without his being present — a violation of their own protocol. There was considerable concern that he might be transferred to another prison, further delaying his receipt of necessary treatment. On Sept. 18, U.S. Magistrate Judge for the Middle District of Pennsylvania Karoline Mehalchick issued a proposed order denying Mumia Abu-Jamal’s motion for preliminary injunction and his complaint seeking immediate treatment for active hepatitis C. This was done before Abu-Jamal’s attorneys even had a chance to respond to the PA DOC’s opposition, as allowed by court rules. Mehalchick states that Abu-Jamal will not be irreparably harmed if he receives no care, even while acknowledging that hepatitis C is a “sufficiently serious” condition under the Eighth Amendment. While arguing that “it often takes significant time for hepatitis C to progress,” she ignored the fact that Abu-Jamal has had the virus for over 30 years, most likely contacted through a blood transfusion after he was shot by Philadelphia police and hospitalized in 1981. Mehalchick also suggests that the PA DOC should be allowed to implement their own protocols for prisoners with hepatitis C. However, the current PA DOC “treatment protocol” is to deny testing and to deliver no treatment. Abu-Jamal’s attorneys Bret Grote and Bob Boyle are expected to file with the 3rd Circuit Federal District Court to oppose Mehalchick’s proposed order on procedural and substantive grounds. That this judge ruled in an arbitrary way where Abu-Jamal is involved is nothing new. If Mumia Abu-Jamal should win his case, it would strengthen the cases of all other prisoners. Called a “silent epidemic,” hepatitis C has a disproportionate impact on impoverished communities and people of color. A 1997 study estimated that 29 to 43 percent of all people infected with HCV passed through a correctional facility. With the prison population skyrocketing over the last 20 years, these numbers would be substantially higher today. Left untreated in the prison population, hepatitis C will inevitably become a public health crisis as more prisoners are eventually released. That the state of Pennsylvania chooses to ignore the extent of this crisis in their ongoing effort to murder Mumia Abu-Jamal speaks volumes.